Stefan conducts a number of talks, sessions, keynotes, and workshops. His topics focus primarily on creativity, the creative process, creative growth, story, and advertising. He has spoken at events large and small and to audiences large and small. 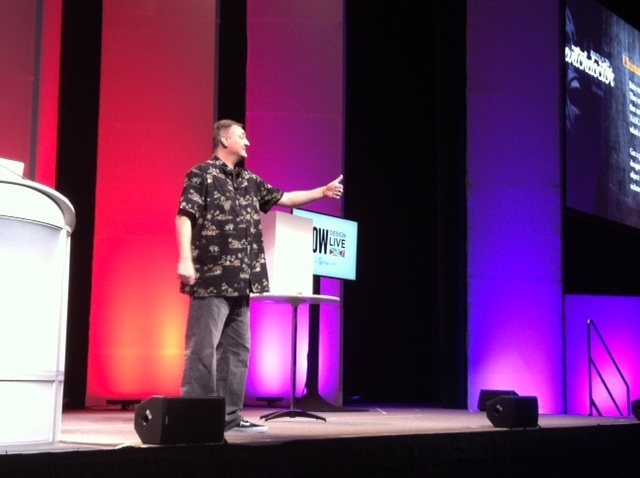 His upbeat style and trademark humor are staples of his presentations. He truly believes that we learn the best and grow the strongest when the sessions are entertaining and the audience is doing as much as listening. We typically think of creativity as an external force that we don’t control or an artistic talent that we don’t have. The reality is that creativity is a procedural, programmable characteristic of problem solving. It is a habit, and as such, creativity can be trained. We can improve creatively. All of us generate ideas and we do it every day. Some of us generate design or headline ideas for a client or maybe concept ideas for a new program or even activity ideas for our kids. If creativity truly is a habit, if it’s a skill that we can perform, that means we can control our own creative improvement. And Creative Boot Camp author Stefan Mumaw is going to prove it to you. He’ll not only show you what makes us all creative and what simple changes in our creative lives can have the greatest effect, he’ll run you through a series of creativity exercises that will prove that a few small creative steps will have you generating ideas in greater quantity and quality. Stefan will elaborate on the key characteristics of daily creative output, identifying the obstacles to effective creative training and breaking down ideation into digestible steps, all the while using short, in-their-seats creative exercises to illuminate key points about behavior, experience and perspective. From serious creative inflection to comedy improv techniques, the audience is taken on a creative journey through practice, philosophy and application. Audience members will see, once and for all, that they were able to generate ideas in greater quantity and quality. The session is lively and fun, with Stefan’s trademark humor and wit on display. 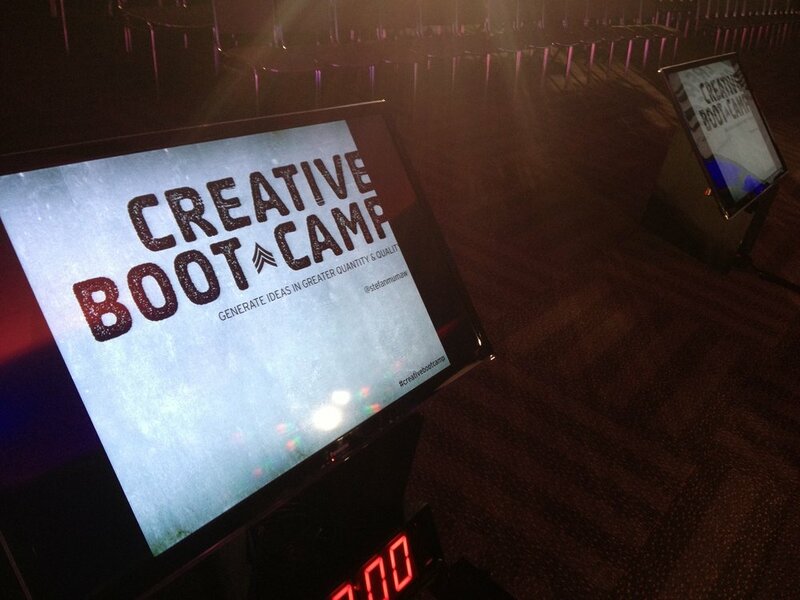 Creative Boot Camp will give audiences all of the speed of its military counterpart with none of the chow time remorse. The term ‘storytelling’ has become an agency buzzword of late. From creative shops to marketers, it seems everyone is a storyteller these days. And the fact is, they’re right. We are all storytellers. 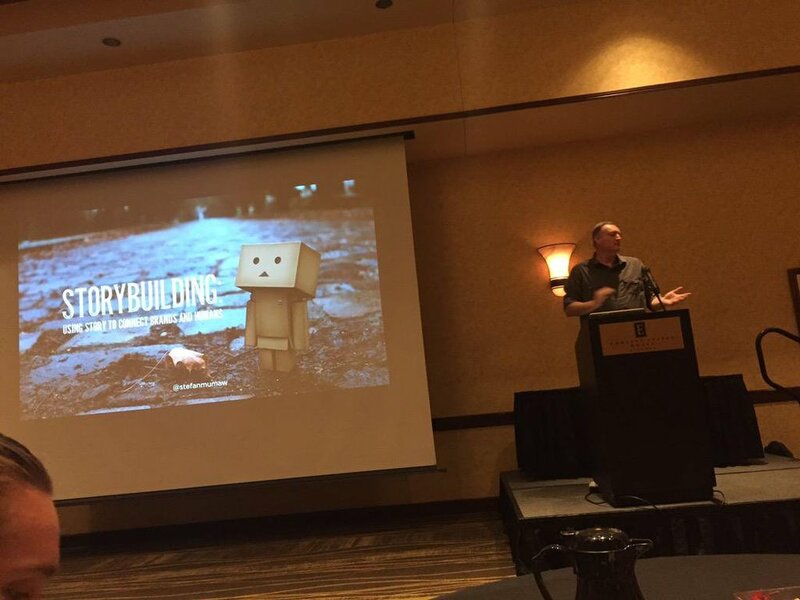 But few of us are storybuilders, capable of not only understanding the structure of story but able to use it to connect the character of a brand to the people that consume it. Story has a form, one that Stefan Mumaw, the Director of Creative Strategy at Kansas City’s well-known story shop Hint, is going to break down for you. He’ll lay out the structure of story and use real-world examples to show how each story component is used to build an emotional bridge between brand and consumer. Bring a few tissues, story has a knack for producing both tears of laughter and empathy and Stefan will use both to show just how powerful story can be. Brainstorming is the process of bringing multiple people together to generate ideas. The hope is that the collective experience and perspective in the room will help everyone generate more and better ideas. But bringing people together doesn't guarantee they'll solve the problem relevantly and novelly, you need a strategy for your idea sessions. So Hint Creative Director and Creative Boot Camp author Stefan Mumaw has a suggestion: story. Humanity has been using story to connect intrinsically with one another since the dawn of time which makes story a crazy-strong foundation on which to run effective brainstorms. Stefan will break down the basic brainstorming process into usable techniques, including the use of story to take wild-eyed concepts and turn them into tangible, actionable ideas. To do so, he'll run you through an actual campaign brainstorm from his agency, everything from ideation to finished product, a process he filmed live while it was happening. Experience three separate creative teams taken through the creative process, all reaching different but equally compelling solutions. You’ll get to imagine what you would have contributed, and what ideas you think were the strongest. From this example and the deep dive into his process, you'll see how you can use story in your next brainstorm and get the most out of your ideation sessions. We live in an on-demand world. Microwaves cook 4-course meals in 30 seconds. We can call space from our pockets. Even flu shots have drive-thru lanes. As creatives, we're expected to pull mind-blowing ideas out of thin air at the drop of a hat and we're asked to do it every day. It's impossible, right? What if it wasn't. 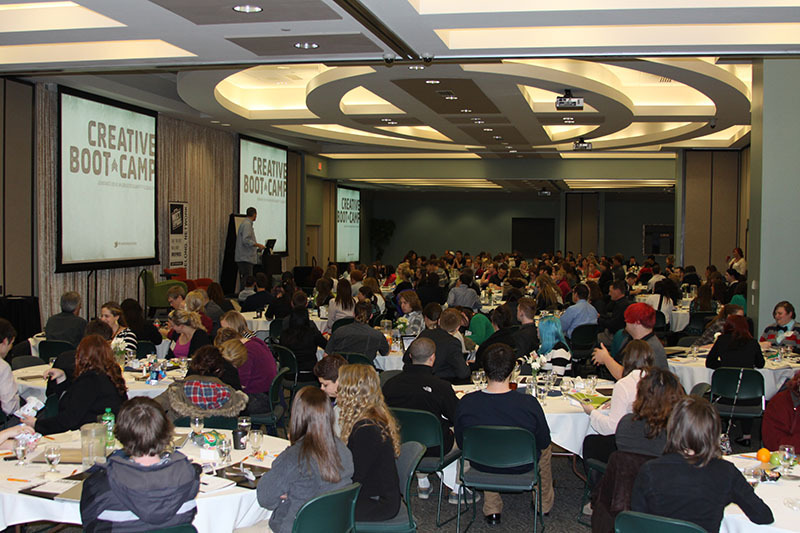 Hint Creative Director and Creative Boot Camp author Stefan Mumaw will show you how. He'll whimsically illustrate each line of the 3-part spell for generating quality ideas quickly and provide the blueprint to repeatable idea harvesting. From comedy improv rituals to problem design remedies, attendees will leave with heads shrinking, minds spinning and medicine bags brimming with all the tools necessary to become an idea witchdoctor. Extreme bodybuilding workouts are all the rage. From P90X to INSANITY, athletes of all shapes and sizes are turbo-charging their physical fitness with intense training regimens. Creativity has a similar extreme workout, it's called comedy improv. If you're a creative and you're looking to generate better ideas faster, comedy improv training will equip you with skills necessary to bust out of your idea rut and destroy your next brainstorm session. Creative Boot Camp author Stefan Mumaw will illustrate the fundamental connection between improv and creativity, diagramming how the essential rules of improv can boost every designer's creative process while running attendees through a series of comedy improv skits and techniques designed to bring the concepts behind creative training to life. Attendees will leave feeling confident, collaborative and fired up for their next ideation session. Drag racers know that high speed success comes from the right fuel mixture. The ideal blend of octane, burning speed, energy value and cooling effect are the ingredients dragsters need to make the most of their 10-second glory run. Creativity requires a similar four-property formula to supercharge on-demand idea output, a mixture that Hint Creative Director and Caffeine for the Creative Mind author Stefan Mumaw is going to break down in this fuel lab workshop. 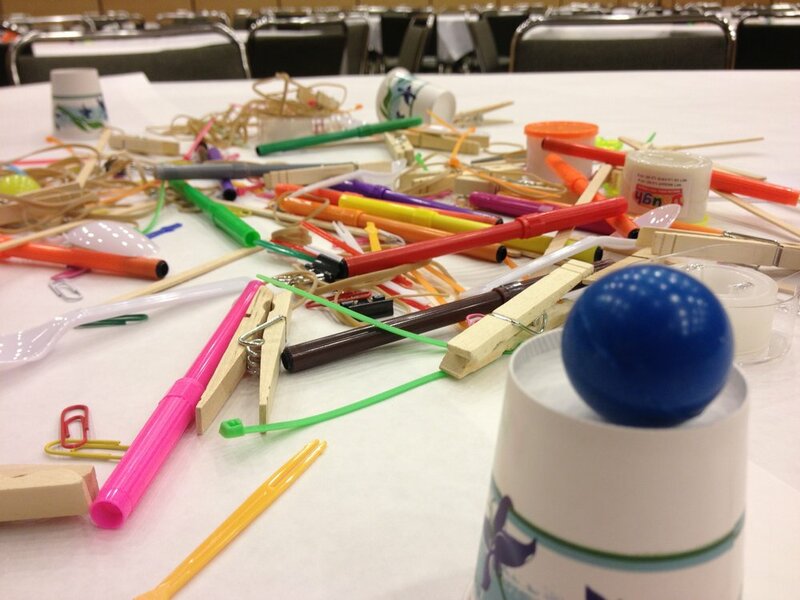 Ideas will fly as you learn this powerful formula through collaborative, fun creativity exercises, performed at paper-clad, supply-laden tables. Stefan will use hands-on illustrations and bad jokes to lay down these four creative fuel properties and provide the tools you need to turn your on-the-spot idea output from unleaded to high-octane. Cheating is bad, right? That's what we've been told throughout our lives, but what if I told you that not all cheating is bad? In fact, as creatives, learning to cheat properly can open up a world of creative opportunity. Want to know how to do truly creative work inside a restrictive brand standards? Learn to cheat. 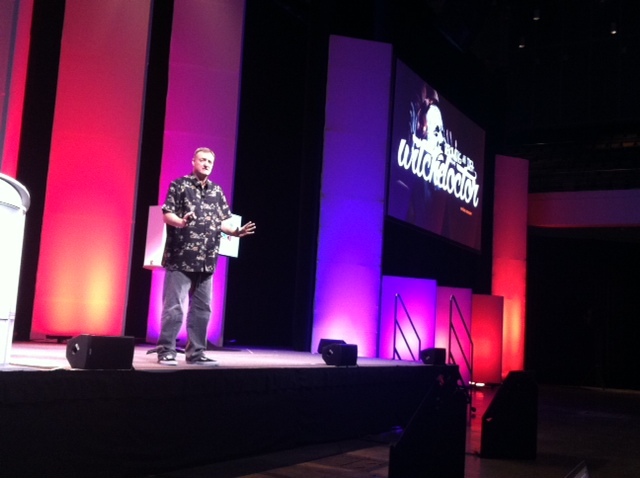 Want to truly innovate within your product or event development? Learn to cheat. Want to find novelty in an industry that historically shuns creative thinking? You guessed it, learn to cheat. Cheating isn't always bad, and Creative Boot Camp author Stefan Mumaw is going to show you how to do it right. Stefan will show you the line between good cheating and bad cheating, he'll illuminate how to cheat well, and how to use that skill to grow creatively. In the end, you'll have a better understanding of the creative potential in cheating so you can use it back at your creative environment. What do the most creative shops in the nation do to inspire their teams to pump out great idea after great idea? What process do they engage in to take a group of individuals and fuse them into free-flowing concept machines? Caffeine for the Creative Team author Stefan Mumaw explores this dynamic by grafting the best practices and processes from these creative giants in an effort to replace ineffective brainstorming with a new directive: brainsqualling. Along the way, there will inevitably be a host of team-centric creativity exercises to give you and your team a caffeinated jolt of idea juice! "Brainsqualling" is a team-focused workshop that follows the principles laid out in the book, Caffeine for the Creative Team. 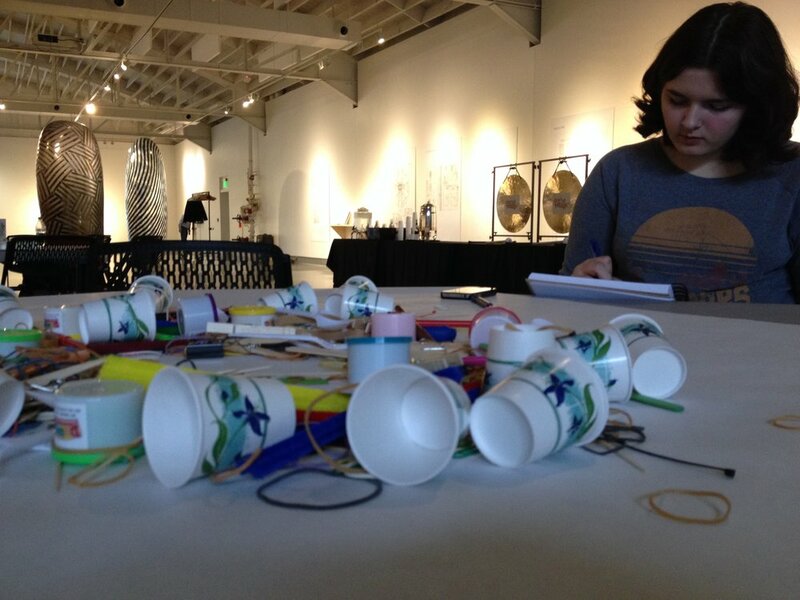 The workshop is a very hands-on, arts-and-crafts type of workshop, where we explore effective brainstorm and concepting techniques and engage in creative exercises to illustrate points (and inject a ton of fun and laughter into the workshop.) Attendees leave with brainstorming techniques, creative exercises and a challenge that puts what they learned to the test in a competitive environment. In advertising, ideas are our currency. We generate them everyday. Most are small, average, perhaps even puny. Occasionally, we create ideas that have size, shape and form. Then there's the select few that we truly believe are monster ideas, the type that change behaviors, shake landscapes and spawn copycats. Monsters are rare and, as such, are prized. We all want to generate more monster ideas but monsters can be anything, we have no idea what they look like. What makes a monster idea? Better yet, how can I know that my idea has what it takes to grow monstrous? Chasing the Monster Idea author Stefan Mumaw will show you what monster ideas look like, he'll teach you the seven characteristics you need to look for in your ideas to let loose their monster potential and he'll reveal the reaction all monster ideas should aim to evoke in their audience: curiosity. In our industry, we can choose to chase dogs or we can choose to chase monsters. If you generate ideas for a living or simply want a measuring stick to help predict if your idea is as big as you think it is, Chasing the Monster will help you sharpen your pitchfork, gather a mob and identify the dogs from the monsters. Chasing the Monster is based on Stefan's book Chasing the Monster Idea: The Marketer's Almanac for Predicting Idea Epicness. At it's core, it's an exploration into the seven characteristics found in almost all monster advertising ideas. How did CP+B's Subservient Chicken website for Burger King define "viral"? Why did XBOX360's Halo 3 video game sell more units in the first week than any other game in history? Why did the Most Interesting Man in the World completely reverse an imported beer brand's sales numbers in less than 3 months? Because they all were monster ideas that had something in common: they were designed to generate curiosity. The talk is fast-paced and full of examples and stories, both of raging successes and miserable failures. It challenges us to look closer at our ideas, see them for what they are and what they could be and provides a measuring stick for our future potential monsters.